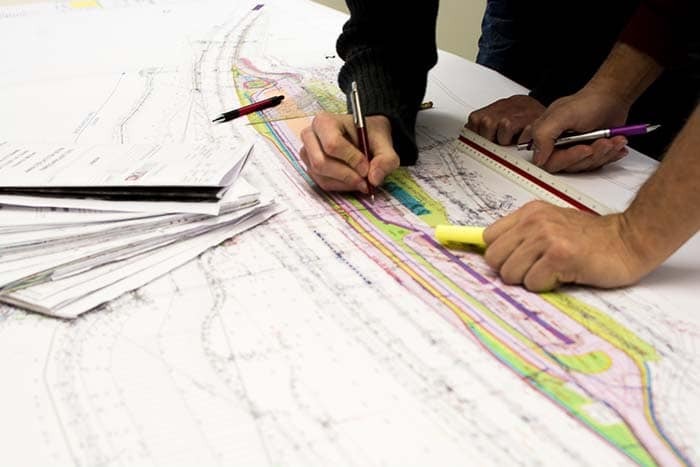 Civil Engineering: A Singular Area of Expertise, with Numerous Facets. The term civil engineering encompasses the conceptual phase, planning and erection of any structure or traffic route, above or below ground level. An exception to the rule is structural and bridge construction, which is likewise assigned to the competence area of civil engineering. We at IKK understand civil engineering in all ist facets and that is why we are able to supply services for consultation, planning, project management, site supervision and construction management in all major infrastructural areas of competence: roads and highways, rail, airports, underfloor routes, enclosures and tunnels (in open construction), hydraulic engineering, residential hydraulic engineering and pipeline construction. Civil engineering is substantially influenced by the public contracting authorities and the long-term impact our construction projects leave on the local environment. We are fully aware of these particular responsibilities and our planning is designed to nurture long-term social benefits for all involved parties. Our engineers, civil engineers and environmental engineers relish the challenge of designing and actively shaping the local environment. We have established experience in developing the optimum solutions for the user sensitive areas between building developers, the general public, all relevant outside parties concerned and as well as all local authorities and relevant political representatives. Long-term experience, internal appraisal management and our continuous education in professional and organizational task management, as well as having technical specialists from all major specialist competencies, enable us to ensure the superior quality of our planning. In addition, our experts work using state of the art software tools and are trained in the use of all relevant interfaces and standards required for the daily data analysis of any given project. In the field of civil engineering, the IKK group supplies consulting and planning services, for all projects and structures, these services include all conceptual planning, pre-project planning and submission planning and if required will meet all EIA procedural standards, we also supply our customers with expert evaluations, tendering and execution planning up to and including the projects final commission phase as well as supplying all subsequent construction management services. In general our services cover all aspects and phases of any given project including all general planning and management services as well as all of the accompanying controls. Dependent on the type of building, we also offer special services, such as the acquisition of project evidence, project approval and the creation of any redevelopment concepts that may be required. 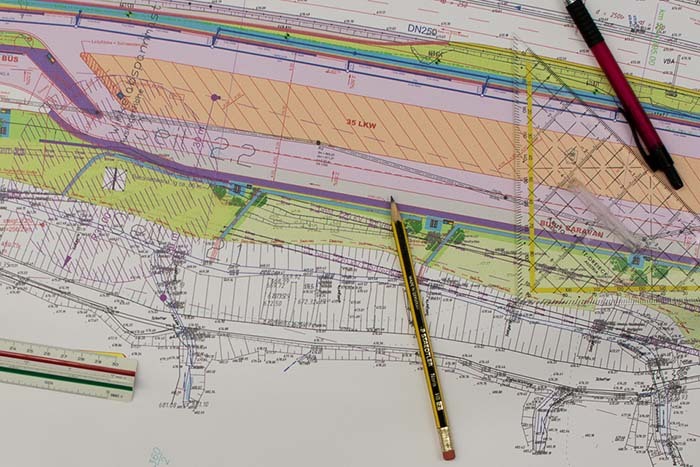 We cover planning for practically all types of structures in the following areas, infrastructure, water environment and pipelines, our planning starts from the initial idea and continues until the final commissioning. 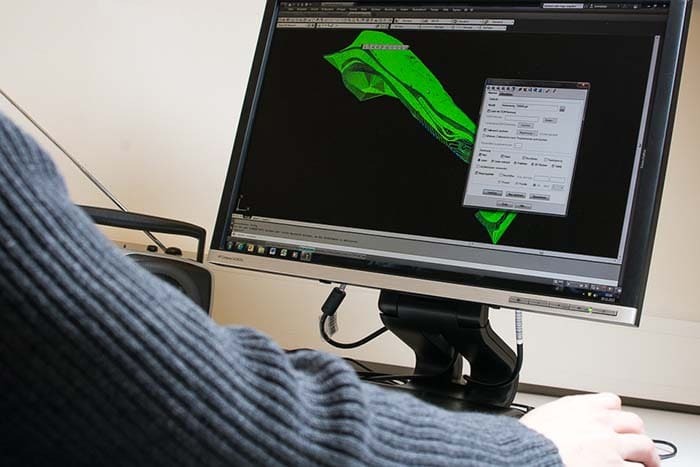 With our sister company Hydroconsult and the former ETL, which has now been merged into IKK Engineering Ltd., we are also able to cover the specialist areas of hydrology, hydraulics, hydromechanics as well as electrical, tunnel and lighting engineering. Planning services for open-structure tunneling, underpass routes and enclosures, both for new construction and for renovation projects.